Many decades have passed since I was last able to call Donegal ‘home’ in the physical sense, of having a house and an address and family and siblings there. Since those distant days in the 1950s and 1960s I have lived in various places, all of them a long way from Donegal. Yet when people ask,’Where are you from’? I reply without hesitation ‘Donegal’ even though I spent less than one-third my life there. But this is where I grew up, where I walked to National School, where I progressed through the then important life’s rights of passage, such as communion and confirmation. This is where I learned to read, learned to play, learned to ride a bike, went to collect the milk in a can from Wee Rodgers in Tirlaugan or from McKemeys out the road. This is where I was terrified of Mary Tammy’s geese who chased me, and where Charlie Ward’s donkey once bolted down Figart with myself and my older brother on board. This is where my younger brother’s dog was killed one Sunday morning by a car speeding to get to Mass on time. This too is where I collected water from the well out at the back of Figart or from the ‘spoot’ (spout) in later years. This is where Patrick McElwee dropped dead one summer evening when bringing his cow down from Figart to be milked. This is where I went to see him slumped against the rectory wall. This is where my friend Norah and I, each armed with ninepence on a Friday night,went to the visiting cinema or what we then called ‘the pictures’. This is where we sat patiently on hard benches waiting for Keeney to load up the reels – and sometimes a reel ran out and the next one had to be rewound before the show could continue. This is where I first saw Laurel and Hardy,The Three Stooges, lots of Westerns and and my first 3D film. This is where I learned to polish brass, loving Mrs Duffy’s beautiful brass kettle; learned to knit at Mary Mandy’s fireside as she made very exotic and delicious vegetable marrow jam; this is where I learned to churn butter out at Shelia McBride’s in a big old wooden churn. This is where my baby brother died on a warm June afternoon. This is where I bought my first pop record, had my hair back-combed by Meta and went to dances in the North Star Ballroom, with a gold waspie belt and my dress resting on stiff petticoats. This is where I first fell in love and bought my very first pop record. This above all is where I learned to love nature, the sky and the stars, the pounding Atlantic Ocean, fabulous scenery. It is Midsummer and invariably thoughts turn to Donegal and those long, long summer evenings when we stayed up late. Days of 17 and a quarter hours were for living and playing. The sun will stand still at the summer solstice this year at 16. 38 pm. UTC on Sunday June 21st. But this year we have an extra treat to mark Midsummer, in the form of an unusual Planet Dance. Tonight, June 20th just after sunset the dazzling Venus will form a triangle with Jupiter and the crescent Moon in the western sky, I like to think, to help us celebrate Midsummer! 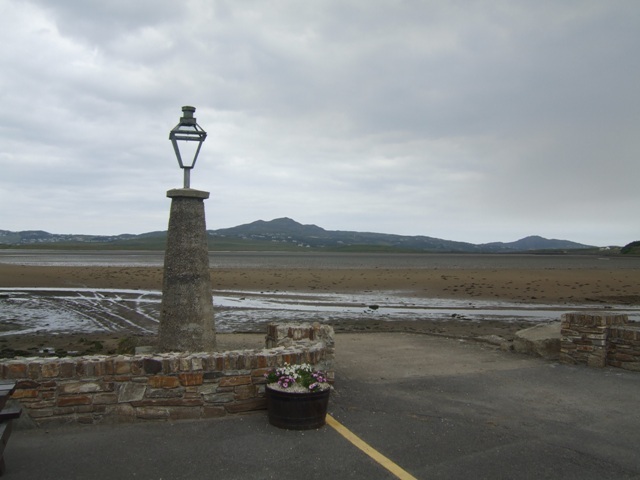 In Donegal sixty years ago, our midsummer celebration was held on the 23rd of June, St John’s Eve. This is a post from my archive in 2011, about what happened in our village then, in those long, happy hazy crazy days of summer! This post is one of a series looking at ancient traditions in Ireland. Midsummer, or St. John’s Eve (Oiche Fheile Eoin) was traditionally celebrated in Ireland by the lighting of bonfires. (The word ‘bonfire’, according to my Etymology dictionary is a word from the 1550s meaning a fire in the open air in which bones were burned). This custom is rooted in ancient history when the Celts lit fires in honour of the Celtic goddess Queen of Munster Áine. Festivals in her honour took place in the village of Knockainey, County Limerick (Cnoc Aine = Hill of Aine ). Áine was the Celtic equivalent of Aphrodite and Venus and as is often the case, the festival was ‘christianised’ and continued to be celebrated down the ages. It was the custom for the cinders from the fires to be thrown on fields as an ‘offering’ to protect the crops. Midsummer bonfires are also a tradition across Europe. In Latvia, for example, the celebration is called Jāņi (Jānis is Latvian for John); in Norway they celebrate ‘Sankthansaften’. Growing up in the northern part of Donegal in the 1950s, Bonfire night was surely the highlight of our year! To us, it was Bone- fire night. For days we piled our fire high down on the shore, with every bit of flotsam, jetsam, old timber and rubbish we could find. We did actually use a lot of bones on our fire as on the verge of the shore was a slaughter-house (an abattoir in more genteel circles) so naturally there were many cattle bones lying about… from horned cows heads to bits of legs and hip bones etc. They made welcome fuel for our great pyre! Midsummer in Donegal was wonderful with the sun not setting until very late at about 10.15 pm. We were allowed to stay up late, waiting for the sun to set so that we could enjoy the lit fire. An adult would light it at the proper time, as dusk was setting in, and we were thrilled by the intense heat and the crackling sound of the splitting timber as the flames leapt joyfully high into the still balmy air. In Ireland, Bonfire night is still celebrated to an extent in Cork and in counties west of the Shannon as well as in northern counties. Cork city council has stepped in, in recent years to provide a safe environment for children and families and this year is organizing 15 events across the city. Ráth Carn in the Meath Irish-speaking district (Gaeltacht) also celebrates Bonfire night with a huge fire, feasting, music and dancing. The old traditional Midsummer bonfires seem however, to be a thing of the past now in Ireland. If you have any recollections at all of having attended one, or you know of someone who has attended one, please do let me know – I would love to hear from you! To tell of times that were.. Recently I had news of the death of a lady from my home village in County Donegal. Having moved away many years ago, I had met her on perhaps two or three occasions in the past decade or so. Yet the news of her death made me feel particularly sorrowful. As the days passed and memories flooded back, I came to realize that the reason for my sadness was that her passing more or less closes the curtain on the memory of our late father’s fun-filled younger days over 70 years ago in that relatively isolated Donegal village. Dad was born in 1921, the third of 5 children, each separated in age by 2 years. As electrification had not yet arrived, candles,oil filled Tilley lamps and blazing turf fires lit the long winter evenings of their youth. Cars too were scarce and bicycles – often the ‘high Nelly’ type were the preferred mode of transport. In a small community young folk made their own entertainment. There were three Gallagher families in particular that forged deep and life long relationships, (although our family was not related to the other two). With others in the village they played badminton in the local hall, played golf on Logue’s 9 hole golf course, attended horse racing on the strand, played cards, kicked football on the Lee, told stories by the fireside, went out on the Mummers at Christmas and enjoyed the annual arrival of Duffy’s Circus. Touring repertory and variety players would arrive from time to time and put on shows that would be remembered for months afterwards. (My father was still reciting this poem to my son, almost 80 years after he learned it). In the 1920s and 1930s these young folk had a small band that played at dances in the local hall. Much of their musical inspiration came from a crackly valve wireless that was run off a wet battery,like the one that filled the deep sill of our kitchen window. I recall my father telling me how good a badminton player Annie was, but it was her reputation as a pianist that was second to none. He often spoke of their great music sessions. He played drums that were still in our house decades later. He had the full kit – snare drum, cymbals, drumsticks, drum brushes, the wooden block and the big base drum with pedals that operated the wooly beater. ”Top of the Pops” was different back then – if they heard a song or tune on the wireless that they liked, they sent away to McCullough Pigot in Dublin for the sheet music. Shellac gramophone records were ordered to play on their wind up gramophone players so they all learned the melody and the lyrics. Dad was a good singer and he sang away to himself for all of his life! One of his favourite songs was Abdul Abulbul Amir. We children were totally mesmerized by the exotic sounding names and the incomprehensible words, – such as Mameluke, skibouk, and truculent sneers, but that only added to our glee on hearing him sing! Written in 1877 by Percy French, one of Ireland’s most prolific songwriters, what appeared to be a light-hearted ditty was in fact a skit on the war between the Russian Empire and the Ottoman Empire and was a deadly serious tale! The great thing about Abdul Abulbul Amir was that it sounded equally impressive whether spoken or sung, and we delighted in either! On his last visit to his home village in 2005, just eight months before he died, Dad and I called to see his long time friend Annie. To the best of my recollection her piano had pride of place in her home, but the abiding memory of the day was how they both laughed and laughed as they remembered singing and playing Abdul Abulbul Amir. And so, the reason for my sadness is the evocation of beautiful memories that I saw a decade ago, remembering times stretching back into the mists of time some 70 years before. Annie’s love of music was honoured at her funeral with the singing of her favourite song from way back then – not the skittish Abdul Abulbul Amir, but the more appropriate and beautiful Tennessee Waltz that she loved. God rest them all indeed. Rode up in his new crested car. “God, she struck me till she tired of it” These were the words of Hannah Herrity, describing one of the many beatings administered by her father’s second wife. Hannah Herrity lived through the hunger and deprivations of the Famine in Ireland. She told her life story to a Mrs Law who befriended her and who wrote her story exactly as Hannah recounted it. These oral history manuscripts recording the life of “Wee” Hannah as she is known, now form the basis of a permanent exhibition in the Dunfanaghy Heritage Centre, located in the old Dunfanaghy Workhouse, County Donegal. Hannah Herrity was born in Derryreel, just outside Falcarragh, County Donegal, Ireland in 1835 or 1836. She was the eldest child of a local travelling tailorman and his wife Susy. In the early years of the Famine (probably 1847 or 1848) Susy died in childbirth with her 5th child. Hannah describes how her poor mother suffered and tells of her being laid out with the newborn baby beside her and how she felt her father’s tears of sorrow falling on her hair and face…Hannah would have been about 9 or 10 years of age. Hannah’s father married a neighbour girl to care for the four surviving children, but as Wee Hannah recounted,”God help us, it was the black day for us he took her”. She was subjected to many beatings – neighbours would rescue her and allow her to stay at their home, safe from the enraged stepmother. At the height of the Famine, Hannah sometimes had to go to get the ‘broth’ in the village, each family having a ticket depending on the number in the household. She staggered and crawled home with it, too weak with hunger to walk properly, and so ravenous that she was tempted to help herself to the contents. There were four houses that had land to grow oats in Hannah’s locality, otherwise people like the Herrity’s went hungry. Hannah did not seem to get her fair share of rations at home and often the neighbours would give her food, knowing that she was being starved by her stepmother. Two of her younger brothers died during this time. Following a particularly severe beating and fearful that she might be killed while he was away, Hannah’s father arranged for her to go into service with a kind old lady in Doe who fed her and kept her happily for three years. After the old lady passed away, Hannah went to work for an unkind man who paid her badly and worked her hard and did not give her sufficient food and here her health began to fail. Eventually poor Hannah had to leave employment and had to walk over 60 miles (100km) to the hospital in Lifford where she remained for a year, and where, even though she was sick, she had to work. Hannah survived the awful experience and spent many years afterwards travelling about from farm to farm taking work where she could get it,wandering the roads around Sheephaven Bay,finding kindness in some houses, and none in others. Eventually she could no longer work and took to begging. She came to the attention of Mrs Law, wife of the local member of Parliament, who arranged for a one- room cottage to be built for Wee Hannah in Parkmore, and here she lived out the remainder of her life in relative comfort. The neighbours were good to her and saw that she did not want for anything. Mrs Law interviewed Hannah and recorded the story of her eventful life exactly as Hannah told it. Hannah (Heraghty) Herrity appears on the 1911 census, as the head of her little household in Parkmore. Here we can see where she applied her mark to the census record as she was unable to read or write. She died in 1926 at about 90 years of age. Thanks to Mrs Law, Wee Hannah’s story is heard by hundreds of visitors to the Dunfanaghy Workhouse, a real reminder of the brutality of life for the poor in 19th Century Ireland. Outside Dunfanaghy there are three graveyards – the Catholic one and the Protestant one and between the two is the Paupers Graveyard where victims of the Famine are buried. Wee Hannah Herrity lies beside her friend Mrs Law in the Catholic part. I am truly grateful to Dungfanaghy Workhouse for sending me the beautiful image below of the marker in the Famine Graveyard. It is a very fitting tribute to those who are interred here in a ‘no-man’s land’ between the two other graveyards. Basic, stark and rugged – such was their lives and deaths. Wee Hannah’s story played out in the general area where I grew up. I lived some 14 miles from her home and at one time my great uncle was a catholic priest in Falcarragh and my grandmother was his housekeeper. I wonder did they know her? Hannah worked out at Horn Head at one time, a beautiful headland that I saw every day from my bedroom window. At one point she told of being out in the snow and falling into a drain in my own Rosguill area. Growing up, we never heard of a person like Hannah, making her way alone through life in such deprivation and hardship. On the day of our visit to Dunfanaghy Workhouse last year torrential rain made photography difficult. A future project will be to take photographs of Hannah’s Places for this blog.